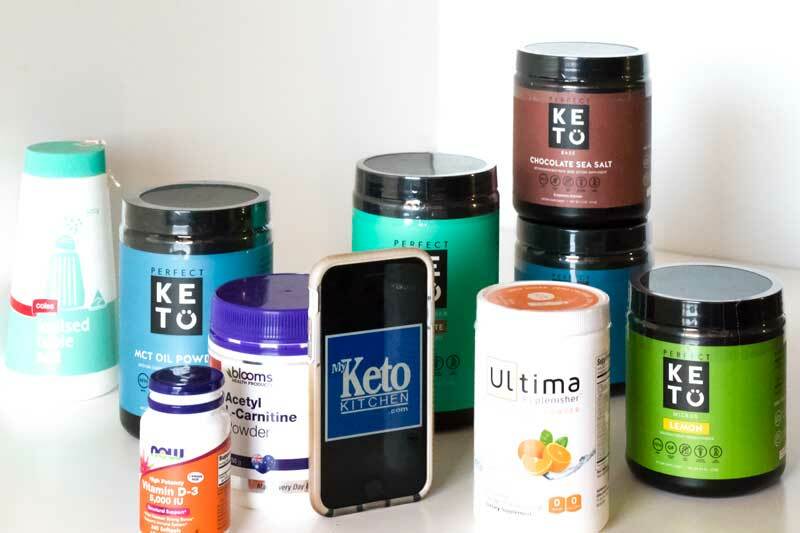 Best Keto Diet Supplements (That Work) - "Recommended for Optimum Results" - Stay in Ketosis! We can all agree that the best keto supplement helps by making your life more comfortable. Supplements are also convenient when transitioning to or while you’re in ketosis. Because, nobodies perfect and it’s quite hard to get everything you need nutritionally on “any” diet, keto included. This overview and review of the best keto diet supplements is quite lengthy. So immediately below is a list of our favorite keto diet supplements that we use to increase ketosis and be in optimal health while in it. Check them out if you want the best ketone supplement products available. 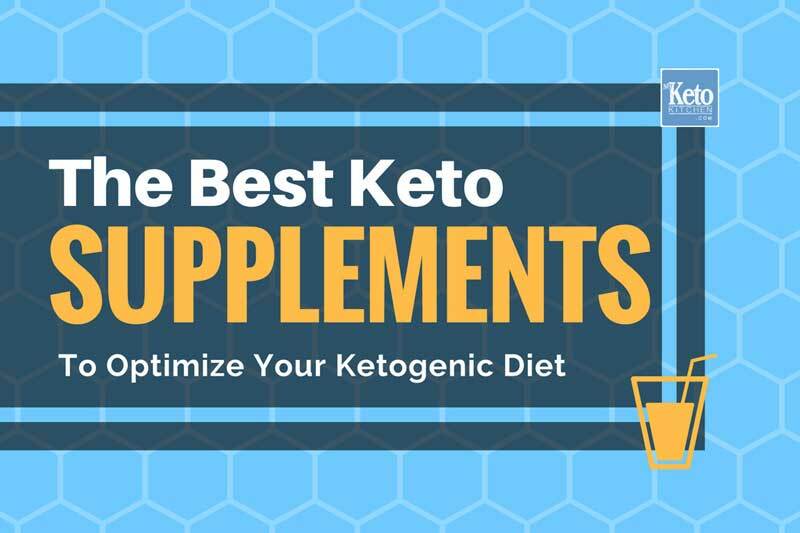 This is the list of the best keto supplements that will get you into ketosis fast and keep you focused, healthy and on point nutritionally. For more information on these supplements and how they affect ketones read on. BHB Salts one of the fastest ways to get exogenous ketones and feel the benefits almost instantly. Multi-Vitamin – a good multivitamin is like a nutritional insurance policy against those essential vitamins and minerals you miss in a pill. MCT Powder is a great way to get medium chain triglycerides into your beverages or cooking. Perfect for boosting ketones. Greens Powder if your not getting enough vegetables on your keto diet this quick and easy powder will cover all bases. Very nutritious. Green Tea Macha and MCT Powder two very potent fat burners and energy providers right here. There’s no doubting the benefits of green tea, it’s been studied thoroughly.. Sometimes you don’t get your nutrition right, or life’s hectic, and you don’t have the time to prepare a healthy meal. It’s times when you feel flat and lethargic that a keto supplement can give you a “pick me up” helping you carry on and get through the day. Other supplements, vitamins, and minerals act as insurance to prevent you from falling into a rut. But of course, you can certainly get all the required nutrients through food without supplementing, your diet just needs to be very accurate. To get all the vitamins and minerals you require without supps, carful planning and meal prep is required. Do You Need Keto Supplements? Convenience, you don’t have to be painfully on point to get all your nutrients, a keto supplement can get you the nutrients you need. Insurance, by taking a supplement such as multivitamin you’ll be covered against deficiencies in your keto diet. Supplements are especially handy while you get used to your new macro ratios. 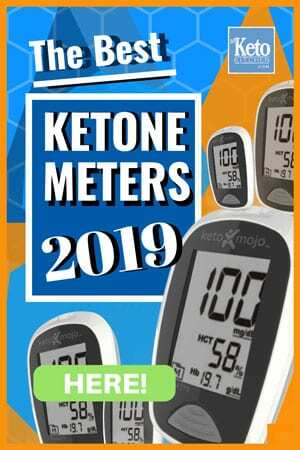 Speed, some keto supplements such as BHB Salts or MCT Oil can help you move into ketosis faster, eliminating or overcoming the induction stage blues sooner. You don’t need to supplement with them, but they do help things move along and give you that little extra headstart into ketosis. Focus, supplements allow you to stick to the basic of your macro partitioning while you get keto-adapted. Especially when you need to work and carry out chores through the day. Energy, Taking an electrolyte supplement can stave off keto flu and fatigue. Electrolytes are especially needed on a Keto diet so a supplement can be a real lifesaver. Some of our Keto Supplements. Yep, we “actually” use them. The best keto supplements help in maximizing the desired results by accelerating fat and weight loss, ensuring healthy nutrient balance and boosting energy levels. The perfect keto supplement is made of high-quality products, void of nasty fillers, colors, preservatives, and sugars. When choosing any supplement, vitamin, pre-workout or protein, you must read the label. The best keto supplements will be clearly labeled without trick chemical numbers, and the ingredients will be easily recognizable. They’ll disclose the contents of their product willingly. BHB salts (Beta-hydroxybutyrate) function as exogenous keto supplements. Exogenous means that they are created outside of the body and not created within it. BHB Salt supplements can increase the metabolic rate of your body much like a ketogenic diet does very quickly. BHB keto supplements have been proven to help in getting into ketosis fast, providing a near instant boost of energy. Something that has become apparent to me is the focus when supplementing with BHB Salts. I work on the computer a lot, and at times find my mind drifting. When I take a scoop of BHB Salts in water the increase in my attention span is quite noticeable. While BHB salt supplements help convert fats into energy and boost the metabolism significantly, I’ve found they help executive function equally as well. Being a powdered supplement BHB Salts are easy to consume and take with you to work, the gym, sport or anywhere you’ll want a boost. Improving ketone production leading to quicker ketosis, elevated levels of sodium, magnesium, and calcium. You’ll find the better quality BHB Salt supplements work quite fast. BHB Salts keep your body feeling healthy by staving off fatigue. BHB Salts help boost your energy levels very quickly as they are quickly absorbed. Supplementing with BHB salts improves your cognitive ability since ketones are brain fuel. BHB supplements are effective at regaining ketosis after high carbohydrate meals. Ketone Salts help reduce hunger pangs. 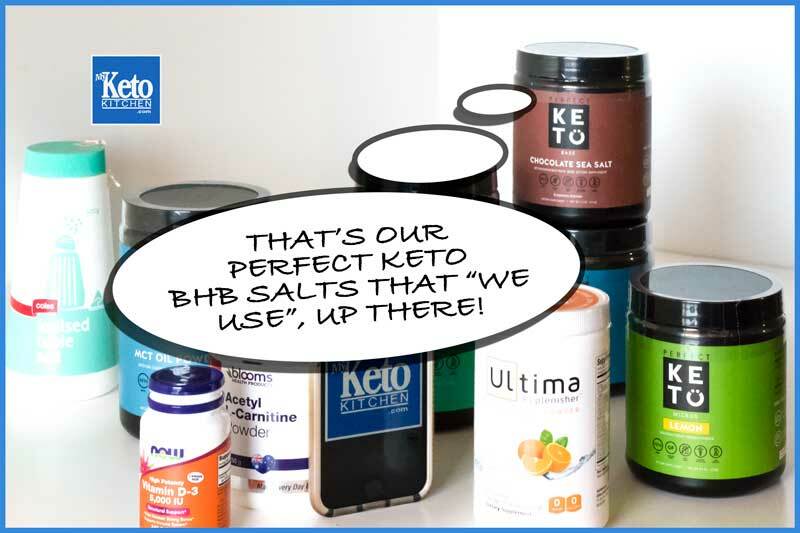 BHB Salts is one of the best keto supplements at enhancing blood ketone levels and fat burning fast (don’t believe me, get a ketone meter and test yourself after consuming them). BHB Salts can cause gastrointestinal discomfort if you use them in high doses. Bad breath can be a side effect of BHB Salt supplements (It’s a side of ketosis in general) so a sugar-free gum may be required. We use Perfect Keto BHB Salts because of their quality ingredients check the price and read the ingredients here. MCT stands for medium-chain triglycerides. MCT oil is a type of saturated fatty acid that is beneficial in maintaining good health on a keto diet. MCT Oil and Powder provides a nice clean (no jitters) energy. MCT oil is an excellent source of energy in the absence of glucose. You can start with small doses of MCT oil when using as a supplement. Take half to one tablespoon for an energy boost or add it to your food while cooking and over salads. MCT Oil is commonplace in many health food stores and online. Just be sure to look for C8 MCT Oil. C8 stands for caprylic acid, and it is the better of the fatty acids for ketone production. If you want MCTs with other medium chain fatty acids just get coconut oil, there’s nothing wrong with coconut oil (we keep it and use it for a variety of keto recipes) it just doesn’t act as efficiently as C8 alone at ketone production. MCT oil supplements can blunt hunger and cravings. You will be more energetic after consuming MCT Oil supplements. MCT oil assists brain function and cognitive ability. MCT oil is very helpful in fighting viruses and bacterial infection and has been researched extensively being used in medicine for inducing ketosis. Needs to be refrigerated after opening. Difficult to carry to work or out and about. Get the best quality C8 MCT Oil here. MCT Powder is a powdered form of MCT Oil. It has almost the same benefits of MCT oil. The difference between MCT oil and MCT powder is that MCT powder mixes well with other foodstuffs and doesn’t come off as oily. MCT powder is more stable un-refrigerated and is more suited to baking recipes, smoothies, etc. You can get MCT powder supplements in different flavors, but we tend to buy the unflavored MCT Powder and add to it ourselves. The benefits include increased energy levels, assistance in faster weight loss and help you get into ketosis faster. We find that MCT Oil Powder to be more convenient than the oil as we can take it to work or where ever we like without refrigeration. Our MCT powder, we keep a ready supply in our office. Productivity is at all time high! MCT Powder makes an excellent crema for coffee which of course will give you a kick start when feeling a little tired. Easy to mix with other recipe ingredients, including baking recipes. MCT’s help with brain function, thought process, focus, and neurological activity. It has lower calorie content that helps in quick weight loss. Excellent creamy replacement for milk in coffee. Not readily available on supermarket shelves. 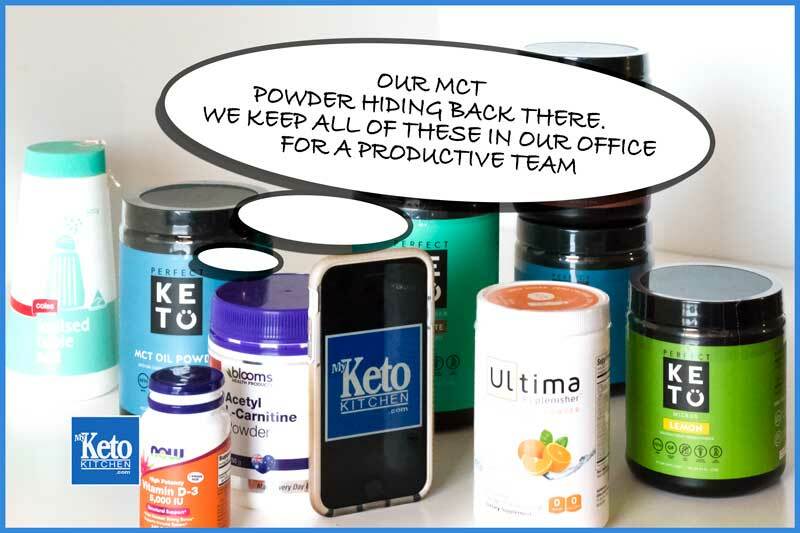 We use Perfect Keto MCT Powder; they don’t use anything in their products that aren’t necessary for their intended purpose. Fish oil is rich in omega-3 fatty acids. You can obtain high doses of omega-3s by eating fish, but you need to eat it daily for the best health benefits. Because we don’t eat nearly enough fish to get the omega-3s that are ideal, supplementing with fish oil is the best way to get the real health benefits. Also, many people just do not like eating fish. So, a fish oil pill is the best supplement to compensate for the lack of it in their diets. Fish oil supplements have various benefits like reducing the risk of diabetes, increasing brain activity, reducing joint pain, protecting against infection and improved liver function. And being an oil its one of the best keto supplements to slide into a ketogenic diet with no other ingredient concerns. Tip: Many people cease taking fish oil supplements because of the lousy aftertaste (reflux). If you freeze your fish oil pills, it allows them to move further into the gut before dissolving. Fish oil supplement consists of omega-3 fatty acids that help in preventing heart disease. Research suggests fish oil may lower the risk of developing Alzheimer’s disease. It helps to lower blood pressure, reduce the risk of heart attack and stroke, and slows down plaque build up in your arteries. Increases healthy cholesterol and decreases bad cholesterol. Consuming fish oil supplements may cause nausea and upset your stomach, as seen in some people. Fish oil can go rancid (rather quickly) if left out in the heat, so it is better you freeze it before taking and stick to the expiry dates. The best fish oil supplements contain high amounts of DHA and EPA. These are the two components you need look at on the label when choosing a fish oil to supplement your keto diet. Good numbers are 650mg of EPA and 450mg of DHA or more. Fish oil supplements should be relatively fresh and well within the expiry date on the container. Check current prices. To follow a keto diet, you must maintain electrolyte levels and remain hydrated throughout the day. Electrolytes are vital to energy production and well being. But loading up on one and leaving others out causes an imbalance. When on a keto diet your body flushes out toxins and ceases to hold on to sodium as efficiently as it might when you’re full up on carbohydrates. The efficient flushing of sodium from your body is why we lose a lot of water weight while on a keto diet. So sodium must be replenished. Not only sodium but we must replace potassium, magnesium and calcium also. As all of the electrolytes work in harmony with one another. For keto dieters supplementing with electrolytes and keeping them in balance is the number one way to stave off keto flu. It is the lack of electrolytes that brings on that initial fatigue and flu-like symptoms. You can ensure your electrolytes are in order by consuming “sugar-free” electrolyte supplements that consist of those mentioned above: potassium, magnesium, sodium, calcium, etc. Exercise also depletes electrolytes. To ensure you stay replenished and stave off fatigue during workouts and thereafter sip an electrolyte supplement throughout your activity and the rest of the day. 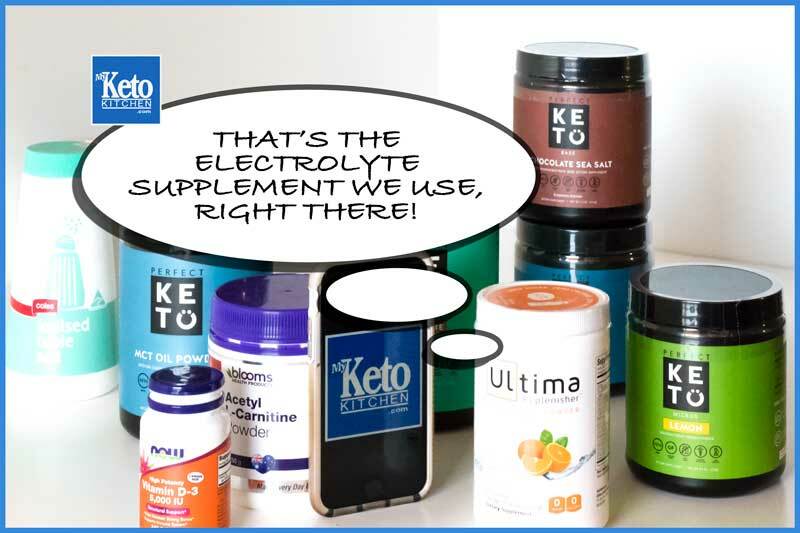 Make sure (like all the best keto supplements) that the electrolyte product is sugar-free. Electrolyte supplements are also one of the best ways to deal with muscle cramps. Electrolytes work in tandem with vitamins and aid in mineral absorption. Electrolytes help in proper digestion of food, avoiding gastrointestinal problems. Electrolytes keep keto flu and fatigue at bay. Though rare, high potassium consumption can be dangerous. We use Ultima Sugar Free Electrolyte Powder Daily! Green tea is widely known as an anti-oxidant and detox for our body it has been used in Asian cultures for centuries, ceremonially, medicinally and daily. It has been long established that supplementing with green tea has thermogenic effects, boosts metabolism and assists in the break down of fats for fuel. Studies on green tea have shown those who consume it regularly have a lower incidence of cardiovascular disease. Green Tea (along with a healthy diet) Has also been shown to lower rates type II diabetes and reduces bad cholesterol. Green Tea Macha with MCT Powder is a delicious and convenient way to get the benefits of both Green Tea and MCT’s. Green tea is keto-friendly and a highly effective weight loss supplement. Among all the “safe” herbal thermogenics not many other supplements can be considered as universally tried and tested as green tea. Green tea has a variety of health benefits including helping in weight loss, as an antioxidant, a natural stimulant, and body cleanser. 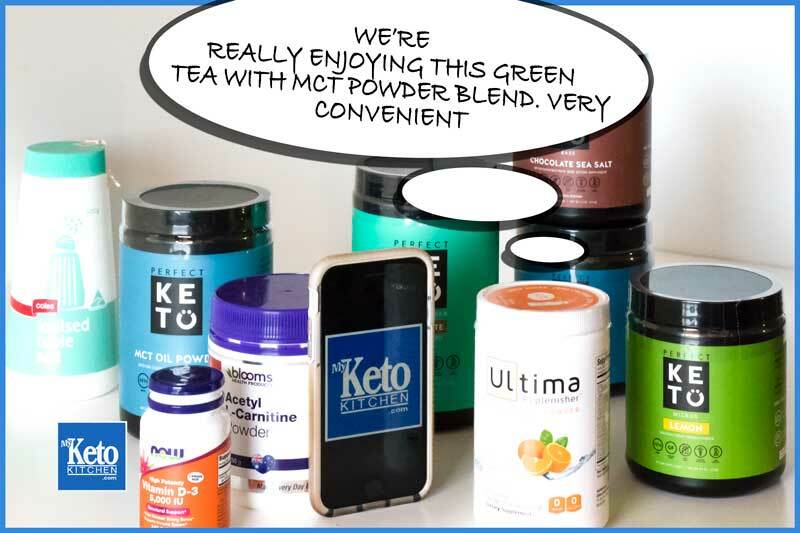 If you like your green tea with milk and are on a keto diet, we recommend this Green Tea Macha and MCT Powder Blend it’s cheaper and healthier than 3 cups of coffee per serve. Green tea has been consumed and studied for centuries due to its nutritional value and feelings of well being. Green tea is a staple among many Asian cultures not only for health promoting benefits but also as ceremonial drink. Green tea helps in increasing the metabolism of fats and using fat as a source of energy. Green Tea helps in reducing the risk the of type 2 diabetes. Green tea is an entirely natural and herbal substance. It helps in protecting your body against oxidative stress as an antioxidant and detox. Green tea may cause problems in some people with liver complications. Green tea may also keep you awake if you drink it too close to bedtime. You can pick up Green Tea just about anywhere. We’re currently using this Green Tea Macha with MCT Powder which gives us a nice kick along and helps with ketosis. One problem experienced by people on a ketogenic diet is they have to cut back on high-carb fruits and some vegetables. But some people often leave vegetables out altogether, which you should not! You should be eating plenty of green cruciferous vegetables and avocados without a supplement. It’s not a perfect world though, and we all take shortcuts. So to ensure you get enough of the nutrients vegetables provide, a good greens powder supplement can be used. Powdered greens supplements give you the benefits of minerals, vitamins, and enzymes without increasing your blood sugar levels. A good greens supplement helps you to remain healthy while still burning fat. On a keto diet, you’ll also want fats alongside your vegetables. That’s why we’ve been trying out this Greens Powder with MCT’s. Not only have I not seen a drop but my ketones lifted about one hour after taking it. The best supplement should not have any additives or chemicals. It should cover all the nutritional bases of green vegetables and fruits. As well as not spike glucose levels. Greens powder supplements have a range of benefits. Benefits like accelerating the fat loss process, increasing insulin resistance, keeping you full for an extended period, and protecting your body against various diseases. We’re currently using Powdered Greens with MCTs which are ideal for us. Greens powder supplements help to ease your way into the process of ketosis. Portability, the convenience of getting all the benefits of green vegetables anywhere, anytime. As you can see in our image above, we keep them in the office. 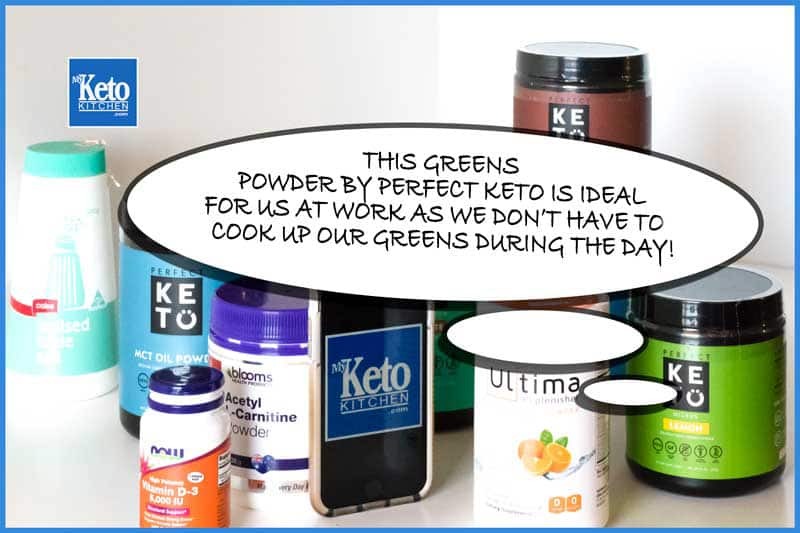 Greens powder does not affect the fat burning abilities of a keto diet. With added MCT’s like those in this Greens Supplement, it increases fat burning. Consuming greens powders can satiate your hunger and keep you full for a more extended period. Can improve cognitive ability and focus. Higher doses of this supplement may create stomach problems like diarrhea, constipation, etc. We just can’t go past Perfect Ketos Greens and MCTs at the moment. They added fat in the MCTs is a real bonus. Collagen protein is rich in amino acids and has been used in dermatology for improving complexion by the beauty industry for a long time. Most recently powdered collagen supplements have worked their way into the sports and diet industry. Research has shown some promise in the healing properties of collagen for joint pain, tendon repair, and muscle building. Collagen makes up around 30% of the protein in the body and over 70% in the skin. 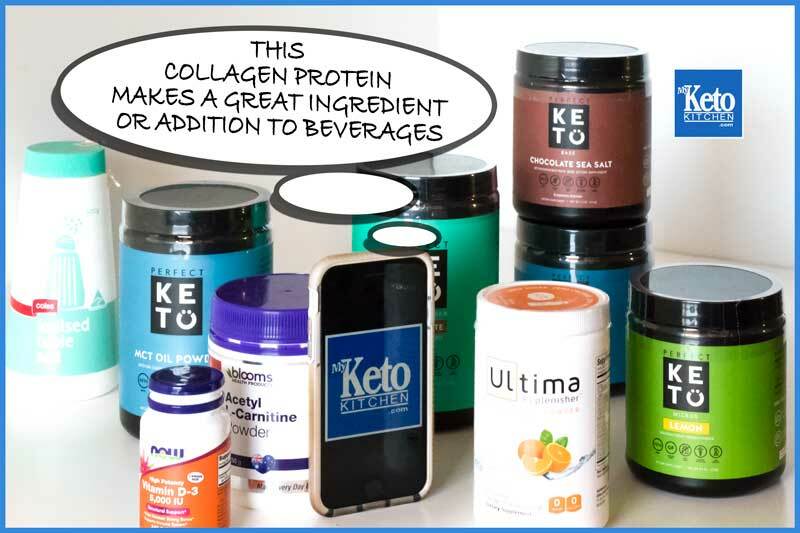 If you follow a ketogenic diet and exercise, supplementing with collagen supports recovery. (If you get Perfect Ketos Collagen it is also blended with MCT’s for enhanced energy a fat burning). It does this without putting protein consumption too high and outside of your ketogenic macro requirements. Collagen helps to provide structure to the cells throughout your body acting as the bodies binder. Collagen protein has been a new thing for us; we’re replacing our old whey protein with collagen in a lot of our recipes. Due to its health benefits for joints, skin, hair, and nails. Collagen supplements help in the detoxification of your body and aid in digestion. Collagen helps your body produce energy and boosts the recovery process of exercise. Collagen is highly beneficial in rebuilding tendons, damaged joints, and cartilage. Supplementing is highly effective in enhancing body composition through weight loss, muscle growth on a keto diet. Collagen improves the quality of your hair, skin, and nails. Some collagen products are loaded with fillers, sweeteners, sugar, coloring agents, and binders that are either harmful to your health or just ripping you off. Use a quality collagen product like this one from Perfect Keto and always read the label. We use Perfect Ketos Collagen as its also blended with MCT’s which we like. Check the price here. Ok we know we said we use all the supplements, we don’t use B12 as we don’t need to. This supplement post is purely for the keto vegans out there. B12 is probably the best keto supplement required for vegans who eat no animal products at all. The human body cannot make vitamin B12 so we must get it through food or a supplement. In food vitamin B12 can only be sourced from animal products, such as meats, dairy, poultry, etc. So with that in mind vegans must take a vitamin B12 supplement. (Or eat foods that are fortified with B12). Vitamin B12 helps to keep your blood, nervous system and cardiovascular system healthy. It is something that everyone should have. It has various benefits including making DNA, increasing the metabolism, and helping brain activity. Low levels of vitamin B12 in your body can cause anemia, affecting the ability to make red blood cells. A deficiency in vitamin B12 can also negatively impact the nervous system causing nerve damage. Vitamin B12 supplements help in the proper functioning of your brain, blood cells, and other body parts. It helps to treat vitamin B12 deficiency and anemia. It has been proven to prevent the occurrence of an eye disease called, age-related macular degeneration. Vitamin B12 reduces the risk of dementia, heart disease and having a stroke. B12 is an excellent if not necessary supplement for vegans who do not eat any animal products. Vitamin B12 supplements can cause allergy in some people. If taken more than recommended, B12 may create swelling, chest pain, redness, unusual warmth in your body, short of breath, and pain in your arms and legs. There’s been some debate that B12 isn’t absorbed as well in the gut as it is sublingually (under the tongue) or through injection. I don’t know that I’d want to be getting an injection that often if I’m a vegan. So B12 lozenges[/easyazon_link] or B12 sublingual drops seem to be the go. We all need iodine in our body, it’s an essential nutrient, and it’s in every single organ and tissue in the human body. Many people with sluggish thyroids suffer an iodine deficiency (of course consult your doctor). Many people with iodine deficiency can quickly get more iodine in their diet by using a supplement. “But” you do not need to buy an iodine supplement. The best iodine supplement can be found on supermarket shelves in the form of iodized table salt. Yep, for a couple of dollars. Do not get suckered into buying expensive iodine supplements in a pill. There are many iodine supplements. But we’re not even going to mention them because they are a complete and utter waste of money! Iodine has many roles in the functioning of the human body. Iodine deficiency can result in abnormal growth of the thyroid resulting goiters. Lack of iodine during pregnancy can affect a baby’s brain development and cause other complications. Without iodine, the thyroid gland enlarges because it cannot supply enough amounts of hormone. Iodine also helps in maintaining a keto diet. Taking large doses of iodine can disrupt your healthy thyroid gland. It can do this by interfering in hormone production (in a manner that’s the opposite of not getting enough) leading to hypothyroidism. If you take any medicine to treat thyroid disease or high blood pressure, then consult your physician before taking an iodine supplement or iodized table salt. Iodine helps to support brain development in infants. It plays a vital role in the health of all reproductive organs. Supplementing with iodine helps stabilize blood sugar levels. Iodine is required to activate your body’s thyroid function and metabolic rate of your body. If taken in high doses, the supplement can disrupt your thyroid hormone levels. People who are hypersensitive to iodine can also experience severe side effects like fever, breathing difficulty, swelling of the face and lips, bruising, or joint pain. Iodized table salt, that’s it, cheap as chips! Vitamin D deficiency is very harmful to our body. The best source of vitamin D is the sun. Vitamin D is found in fatty fish, egg yolks, and mushrooms. If you do not get enough sun or you do not like to eat foods like eggs or fish, then you might need a vitamin D supplement. The main benefits of consuming vitamin D supplements on a keto diet. They include Immune system support, bone density, muscle growth, and healthy hormone levels. Vitamin D also assists in a healthy cardiovascular system. It leads to the reduction of arthritis problems. Vitamin D supplement helps in various metabolic processes of your body. It helps in treating various diseases like cancer, diabetes, and cardiovascular disease. It helps in maintaining bone health, treating kidney problems, and treating the left ventricular function. Vitamin D supplement helps in reducing urinary albumin. It helps in lowering the glomerular filtration rate (GFR). It helps in easing some multiple sclerosis symptoms. Higher doses of vitamin D supplement may lead to vascular calcification, and high calcium in your blood, which can cause kidney problems. Acetyl L-Carnitine makes an excellent keto supplement while initiating ketosis or after high carb meals. Once you’re in ketosis, Acetyl L-Carnitine has no real health benefits. (Or they’re so minimal it’s hardly worth the time). Acetyl L-Carnitine has benefits that apply to your overall health, brain protection, and disease prevention. Acetyl L-Carnitine supplements get absorbed through the intestines. Many gym-goers and athletes use acetyl-L Carnitine to help lose weight, build muscle, and burn fat. It helps in increasing the levels of neurotransmitter increasing the learning capacity, memory, and mental energy. You can keep clarity of thought and improved focus. Being a very powerful anti-oxidant, acetyl L-carnitine neutralizes free radicals. It helps to remove toxins and poisons from the body. Supplementing with Acetyl L-Carnitine keeps brain cells healthy in the long term. Acetyl L-Carnitine helps to prevent and treat various diseases like heart attacks, cardiovascular disease. Acetyl L-Carnitine Helps metabolize fat. Has been shown to improve the sperm motility solving issues related to fertility in men. Acetyl L-Carnitine helps to increase blood flow to muscles. It can cause some adverse side effects like nausea, abdominal cramps, restlessness, headaches, and increased agitation. Particularly if taken in the evening. We take an Acetyl L-Carnitine powder by Nutricost or Blooms if we can get it. This supplement is abundant in the amino acid that plays an essential role in muscle contractions and energy production. Creatine is a supplement that is highly favored by bodybuilders, athletes, and keto dieters who are wanting to improve their endurance and strength. The human body naturally produces creatine, but with age, the production declines. Consuming a creatine supplement helps in providing a concentrated dose of amino acid so that you can perform better. Creatine supplements are often flavored and mixed with other compounds. We find that plain micronized creatine monohydrate to most effective and affordable. You can mix it with a sugar-free free beverage if you prefer. It helps to improve the upper and lower body strength. It is proven to enhance athletic performance. It enhances recovery and brain function. It is highly effective in improving glucose tolerance. It helps in reducing age-related muscle loss. Creatine supplements can cause problems if used along with diabetic medications, diuretics, and acetaminophen. Creatine supplements can cause serious health problems for people with liver or kidney disease. Creatine is not advised for women who are pregnant or breastfeeding. The best creatine supplement for people on keto is everyday micronized creatine monohydrate with no fillers or sugars added. Ignore creatine products making weird ingredient claims. Creatine monohydrate is the one with all the research behind it, it works and is cheap considering how long it lasts. Vitamin E quickly dissolves in fat. Vitamin E can be found in various foods like cereals, vegetable oils, poultry, meat, eggs, fruits, and vegetables. The majority of a vitamin E supplement’s benefits come from preventing vitamin E deficiency. But there are many additional benefits like improving immune function, preventing diseases like heart disease, blocked arteries, and high blood pressure. There are also indications that vitamin E may be helpful in treating diabetes, preventing oral and lung cancer, treating diseases of the nervous system. Vitamin E may also prevent complications during late pregnancy because of high blood pressure, painful periods, PMS, etc. (always, “always,” consult your physician. There’s some indication vitamin E supplements may slow down memory loss in people with Alzheimer’s disease. Vitamin E supplements improve red blood cell production and help avoid anemia. Vitamin E supports kidney function. Vitamin E improves some male fertility problems. Vitamin E supplements help to prevent nitrate tolerance. Some research indicates that vitamin E may decrease the risk of Parkinson’s disease. Taking vitamin E supplements along with vitamin C helps repair sun damage and other skin inflammation caused due to the exposure to UV rays. High doses can cause nausea, stomach cramps, fatigue, muscle weakness, headache, and blurred vision. Good quality Vitamin E from a reputable brand like “NOW” will do the job. Alpha Lipoic Acid occurs naturally in the body and helps to provide support to the body cells. People with low levels of ALA require supplements to achieve optimal levels. ALA is used to turn glucose into energy which is beneficial to those transitioning to a keto diet by burning off stored sugars. It is an effective antioxidant; ALA is both fat and water soluble. ALA is highly beneficial in boosting metabolic rate and burning body fat effectively. ALA works best when consumed with omega-3 fatty acids, DHA and EPA found in high doses in fish oil supplements. Approximately 300 mg of the alpha lipoic acid supplement daily is a sufficient dose. Higher doses are unnecessary and may lead to adverse side effects. ALA supplements enhance the effect of keto dieting by improving metabolic rate and insulin resistance. ALA can help lower blood sugar levels and enable your body to use insulin effectively turning to fat for energy sooner when getting into ketosis. There is some evidence that ALA is useful for people with Type 2 diabetes (always consult a physician). Some research suggests that cardiac automatic neuropathy problems improve with the use of ALA supplements. This disorder affects the nerves of the heart (again consult your physician whenever you have any ailments before beginning a supplement regime). It may cause allergic reactions like nausea and skin rashes. It may lead to dizziness, elevated heart rate, light-headedness, or feeling jittery. Higher doses of ALA supplements cause swelling of the face, lips, and tongue that often leads to bad breath. There are many good brands out there but Drs Best Alpha Lipoic Acid is one I’ve used. Chromium is a trace metal found in fish, eggs, beef liver, poultry and more. Chromium is required by the body in small amounts and useful in controlling blood sugar levels. It does this through the release of a glucose transporting molecule called GLUT-4. GLUT-4 is found in muscle tissue and the liver. Cutting a long story short, GLUT-4 allows glucose to be metabolized rather than stored. Therefore using up your stores so that you can move more rapidly into ketosis. Chromium has also been researched for improving depression in people who suffer from polycystic ovary syndrome. Chromium has also been used as a preventative measure for acne, aiding nutrient absorption, bone density and liver health. It is known to treat acne by helping regulate the blood sugar levels. It helps in losing weight and body fat and increasing the lean muscle mass. It is very effective in suppressing your hunger and appetite. It is known to increase endurance levels and overall strength. It is not recommended to be taken by women who are pregnant or breastfeeding. Just remember in general Keto supplements are not necessary to achieve optimal health. They are a luxury for ease of attaining your nutritional needs, achieving goals sooner and as an insurance policy to cover all bases. Never take supplements in higher dosages than advised and always consult a professional before any dietary changes. Particularly if you have any ailments. Below is the list of the best keto supplements that we use or have used and recommend. The Best Keto Supplement of all should be the healthy meal right in front of you! Keto Pavlova Sugar Free Meringue Dessert – Deliciously Sweet and Tasty!